A mechanical man on fire is brought inside the Olympic Stadium as the Festival Of Flame takes place. 4. 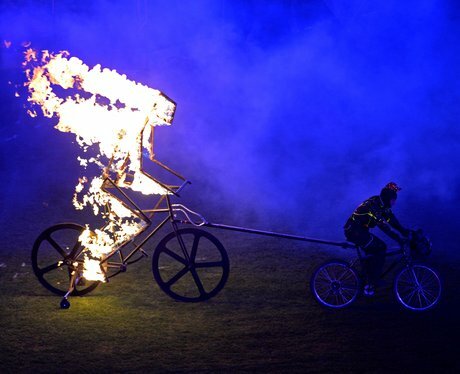 A mechanical man on fire is brought inside the Olympic Stadium as the Festival Of Flame takes place.